Just in time for tonight’s episode! 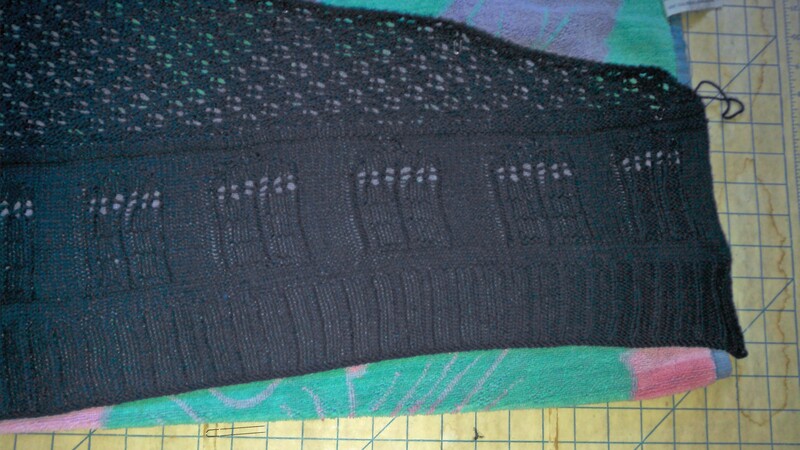 The TARDIS Shawl is complete. I really enjoyed knitting the “Bigger on the Inside” shawl from Kate Atherly, the Tech Editor Knitty. Not only a fun design, but a lot of interest and detail to keep me engaged throughout the project. Below you can see it blocked – I hope to entice one of my daughters to model it for a few photos.